Did you guys restore this car? If the vehicle in question is in our inventory, the short answer is most likely “no.” Due to the number of vehicles we represent, it would be virtually impossible for us to restore every car that passes through our inventory. Also, in most cases, and with very few exceptions, it is simply cost-prohibitive to do a quality restoration on a vehicle with the intention of selling that vehicle for a profit. We do perform restorations on classic and muscle cars for clients. Although we most likely did not restore a particular car in our inventory that has caught your eye, each vehicle that we sell is treated to the mechanical and cosmetic scrutiny of our shop. There is usually something that even the most fastidious classic car owner or restorer will neglect to fix, and we aim to find and repair everything we can before a car reaches its new home. Do you finance classic cars? 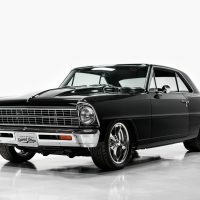 Financing a classic car is a bit different than financing a late-model car, only because most banks don’t understand the value of the asset they are loaning money on. While we do not provide financing in-house, we have worked extensively with a few companies that specialize in financing classic and exotic car: J.J. Best, Woodside Credit, and Lightstream. Lenders usually require a 700+ FICO score, no bankruptcies, and a 10% down payment. Most will also send out an inspector to make sure the car is on the up-and-up for you. Does the left handed smoke shifter work? Does the car leak blinker fluid? We have a dedicated mechanical staff whose exclusive focus is to be sure that, in the off chance an emergency run for ice-cream is required, you’ll be delivered soundly and in style. We want your dream car to be beautiful, sound, and in good running order, and are prepared to invest the time where necessary. Nevertheless, it should be said that while we review each and every car in our inventory for observable issues, we don’t perform exploratory surgery on parts that aren’t malfunctioning anymore than your doctor would, and just as with your doctor, just because you saw him on Monday doesn’t mean that you can’t break on Tuesday. 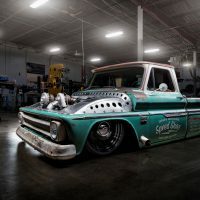 It is nearly impossible to eliminate unforeseen expenses with a vintage car, nevertheless, we do our very best to deliver our vehicles as we would want them—as free from issue as can be hoped. As has been said, we can’t manufacture perfection, nor do we deal in its illusion, but if the car needs it, and we can get it, then it will have it. If I buy this classic car, do I owe any taxes to Missouri / the United States? No, not unless your primary residence is in Missouri, and even then, you don’t pay any taxes to us at the time of purchase. Taxes are paid when you register the car with your state or import it into your country, and the only amount you need concern yourself with when paying us is the price you agreed to when we made the deal. We promise, no “document processing” fees. Is this car a “matching numbers” example? Driveline components that we have found to be matching the VIN will usually be identified specifically within the vehicle’s description. If no mention is made of matching numbers components, it’s safe to assume they are not. 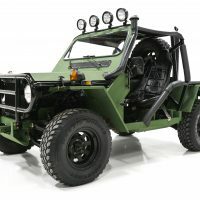 In many cases, depending on the year and make of the vehicle, the originality of the motor, transmission, or rear-end can only be determined roughly with date code castings, and are impossible to prove definitively one way or another. Driveline components in vehicles where no VIN was present from factory will generally be described as “numbers correct,” or “code correct,” indicating that date codes (usually in the rough casting of the engine, transmission, or rear-end) are correct for the production date of the vehicle and are most likely original. A vehicle may also have non-numbers matching components and be described as “date-code correct.” Generally, this means that the component in question is an era-correct replacement. This car looks perfect. Is it? Perfect, by definition, is something which is utterly without defect or singular blemish in form, function, or substance. It is by virtue of its definition, a term entirely unsuitable for describing automobiles, or any other material object for that matter. It is a fact that these automobiles were not ever perfect, not when they were new, and certainly not thirty or more years after the fact. 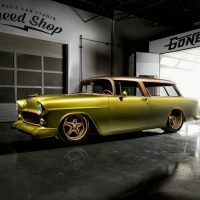 We see more highly restored vintage cars in an average month than most people will see in course of their life, and these too are not perfect. We pride ourselves in handling among the nicest classic cars available at any time, in some cases automobiles which are of such high condition that it is debatable as to whether you could cause them to be nicer in any way, and yet, these are also not perfect. Nothing is perfect, and vintage cars certainly are no exception, regardless of price. It is ironic that in many cases the vehicles of the highest cosmetic level are often in the greatest need of mechanical attention. For this reason we have a complete staff of mechanics whose express purpose it is to sort our cars, great and small. So while perfection is noble in conception, it is still elusive as the tooth fairly at a dentist office. Nevertheless, we strive obsessively in its spirit in order to offer you an automobile unlikely to be equaled at its price. We encourage you to call with questions, to verify details, and to assist you in choosing the automobile that best suits your interests, whether it is a show-able driver or drivable show car. What is your rock-bottom price / what would you take for this car? Our asking price on a vehicle allows us to represent it in a way that we can stand behind, and our ability to budge on price varies on a vehicle to vehicle basis. If you have a number that would work for you, let us know. We have a long list of cars that we are waiting to buy when capital becomes available, so expedited payment terms work well in your favor here. 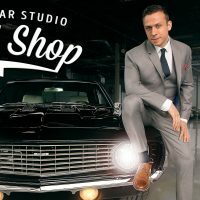 We truly buy cars as-is, where-is, but we try to use our team of classic car restoration specialists to take as many surprises out of the process for our customers. Wholesale prices on cars generally carry with them wholesale problems, and in the end, both parties end up unhappy. Our cars come from collectors all over the country who have spent many thousands of hours and dollars caring for and restoring them. We always seek the cleanest, most solid examples, wherever possible, from the driest regions in the country. We make every effort to ensure each classic car that we sell, original, custom, fully restored or otherwise, operates the way it was intended to. We make this effort regardless of its impact on our bottom line, and are very proud of the drivability of the classic cars that we sell. Even so, many cars in our inventory have either 1.) come from collections where they were rarely driven, or 2.) are so nice as to make driving them extensively pose a risk to their condition. 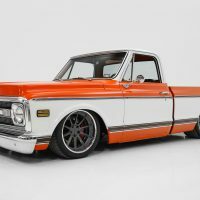 Most classic cars require a “getting to know you” period, during which the new owner learns both the idiosyncrasies of the particular make and model, as well as those of the individual car. It is often a bad idea to drive a car you don’t know for extended distances. That said, we have had many clients drive home with little or no issue. We have also had cars that have experienced problems 50 miles from reaching their destinations. The idea of buying a classic and driving it home across country is certainly a romantic and enticing one – but it’s much easier to get a tow home when you’re five miles away than it is when you’re a hundred. On Sunday. At 9pm. I’d like you to help me sell my classic car—do you offer consignment? We do—however, like our inventory, we like to keep consignments in the wheelhouse of high-condition classic and performance cars. If you have something that is outside of the realm of what we typically sell, we may be able to sell or market the vehicle for you still, just using other methods. Give us a ring at (314) 567-4200 to discuss what’s best for your vehicle. If I consign my classic car with you, how long will it take for you to sell it? Though there are, of course, outliers, vehicles in our inventory sell on average in a little less than three months. If your aim is a quick sale, price your car accordingly. We can help you determine a market-value that should result in a fast turn. What do you charge for consigning a car? We tried to make consigning your classic car as straight-forward as possible. 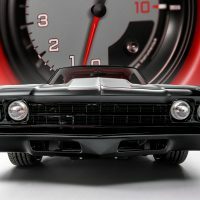 Cars consigned with Classic Car Studio are marketed on this website (http://www.classiccarstudio.com), as well as several other industry websites (eBay Motors, Autotrader.com, classiccars.com, cars-on-line.com, to name a few) at no charge. We don’t charge you for research, copy-writing, or photography, and consignments also stay in our climate-controlled showroom at no charge. Upon the sale of your vehicle, we take a 10% commission. Can you help me find a donor car for my restoration project? Absolutely. 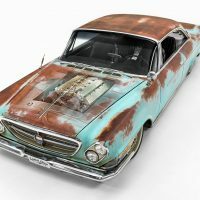 Keep in mind, it’s better to spend a little more up-front to find a rust-free, mostly complete car than to start with a cheap car and wind up with nothing but a roof and a firewall after media blasting. Sure, we can replace quarter-panels and floors, and by time we’re done, very few would able to tell the difference, but you will end up spending far more replacing metal than you would have spent had you bought a better car to start with. Starting your restoration project with the most complete, most rust-free car that we can find ensures that we save time replacing metal and sourcing parts, all of which saves you money. Can you install air conditioning in this car? Yes! We do many air conditioning installations on classic and muscle cars using original and aftermarket equipment. Prices can vary by make and model, so give us a call at (314) 567-4200 to discuss your needs. We’re always looking for individuals who work well with others and are passionate about doing high-quality work on classic cars and continuously improving their skill-set. Please submit your resume with work history and references on our Careers page, and a company representative will contact you if there are current openings. 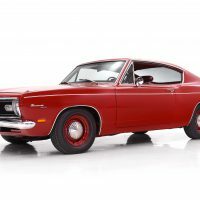 How much is it to insure a classic car? 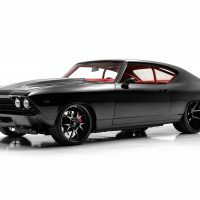 Since insurance companies know that classic cars tend to be babied and not driven much, insuring a classic car is really inexpensive. We’ve seen a number of policies at around $300 per year, but this will depend on the value of the car you want to insure, among other things (how many ‘Vettes you have wrapped around telephone poles). Some things to consider when selecting an insurance provider are Agreed Value (the amount the car will be insured for, as opposed to the book value of the car) and mileage restrictions (how much you can drive your car a year). We like Heacock Classic, Chubb, and Hagerty. Can you ship this car to me in <Some City> / <Some Country>? Absolutely. We arrange shipping all over the country and all over the world as a courtesy to all of our clients absolutely free of charge. Once a car has been fully paid for, setting up shipping can take a few days. After shipping is scheduled, it can take a few days for the car to be picked up, and another few in transit. If your car is going on a truck with 6 other cars, there will likely be stops and detours between our location and your delivery. If we make a special effort to ship your car in a one or two car enclosed carrier, delivery times may be shortened a bit. If you are overseas, shipping generally takes a little over a month after your vehicle leaves our location. How much is shipping to <Some City> / <Some Country>? We ship enclosed, fully insured, door to door to all over the country and all over the world. Some routes are more expensive (if you live in the North West) and some are less expensive (if you live in the South West), depending on the popularity of the shipping route. A good rule of thumb, not accounting for whatever gas prices are doing at the moment, is that enclosed shipping will cost you about a dollar a mile. Want to ship your car on an open carrier? Talk to us first. Shipping a car overseas isn’t as daunting as it might seem at first. Cars travel by truck from our location to a port in Los Angeles or New York, are put in a shipping container, and arrive by boat at your closest port about a month later. We ship many classic cars to new homes in Australia and New Zealand. Expect shipping to cost around $3,500 USD, varying a bit depending on your closest port. We ship many classic cars to new homes in Europe. Expect shipping to England, or to the Northern coast of Europe to cost around $3,000 USD. Shipping to ports in the Mediterranean Sea typically costs around $3,000 USD, and shipping to Scandinavia generally runs $3,000 USD. In a country or region we didn’t mention? Just ask us, we’ll be happy to figure out what shipping a car to you will cost.